A Cairo criminal court has ordered the conditional release of satirist and video blogger Shady Abu Zeid after nine months in pre-trial detention, his lawyer said on Sunday. Abu Zeid was arrested at his Cairo home in May 2018 and questioned over charges of "spearing false news" and "joining an outlawed group." "The court has decided to replace his pre-trial detention with probationary measures under police supervision," defence lawyer Mokhtar Mounir told Ahram Online on Sunday. The conditions will require Abu Zeid to report to a police station on certain days for a specified number of hours, Mounir said. The lawyer added that the prosecution will appeal the court's decision in a hearing on Monday and that the court will either accept the prosecution's appeal and order Abu Zeid's detention or uphold Sunday's conditional release. "Everything will depend on the court's ruling tomorrow," he said. 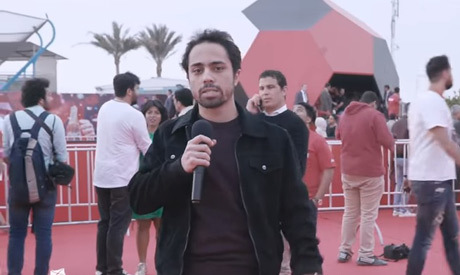 Abu Zeid is a video blogger who produces a satirical news show "The Rich Content", which he had published on YouTube and Facebook since mid-2015 until his arrest. The comedian was also a correspondent for popular satirical television programme Abla Fahita before he was suspended following the condom video. Last month, prosecutors allowed Abu Zeid to attend his father's funeral after numerous requests made by his family to allow him to briefly see his father before his death were rejected by authorities. His family had said he does not have any political affiliation or belong to any political group, describing the charges against him as "not real."